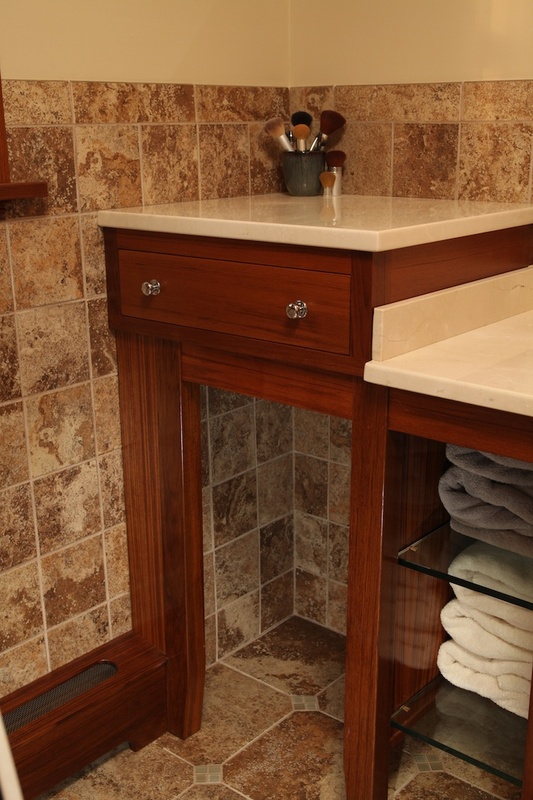 Teak is the perfect wood for a bathroom because of its resistance to rot from water and humidity. It can be finished or left raw. 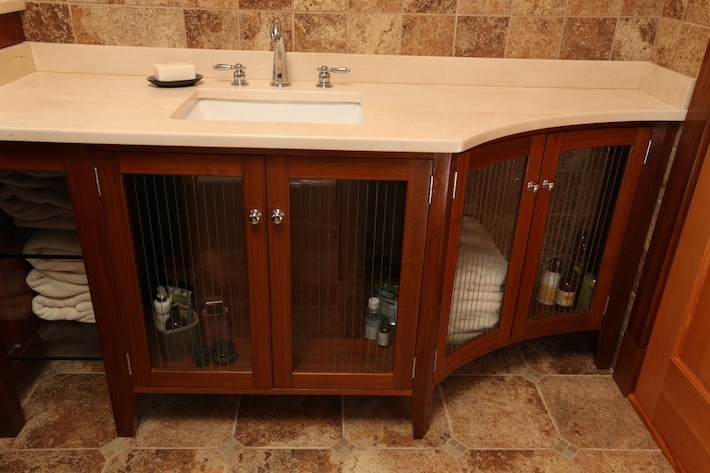 This a-symmetrical vanity unit was a built in for a small bathroom and designed to accommodate the entrance door by curving the cabinet glass doors and countertop to a slightly larger radius of the swing of the main door. 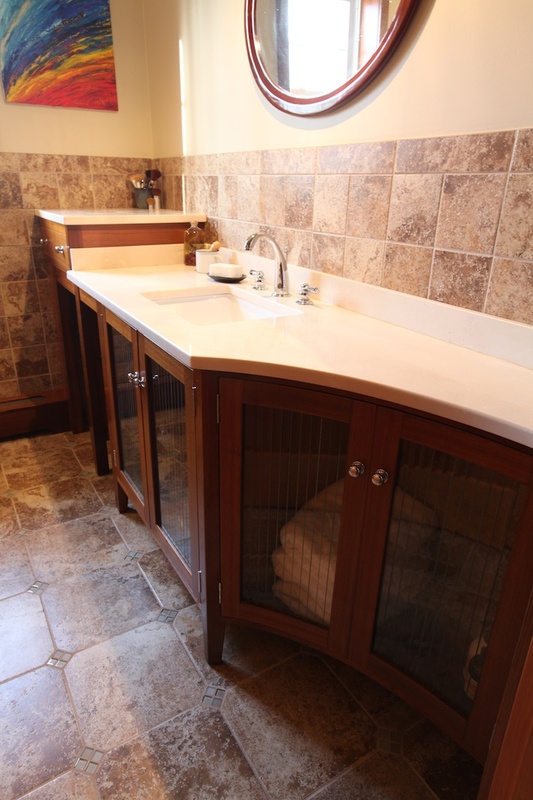 The towel shelving is made of half inch tempered glass and there is a cubby to hide a laundry basket. A second level was added to break up the long flat surface of the counter. It houses a large solid teak dovetailed drawer. The counter top and splash is three quarter inch Italian marble.